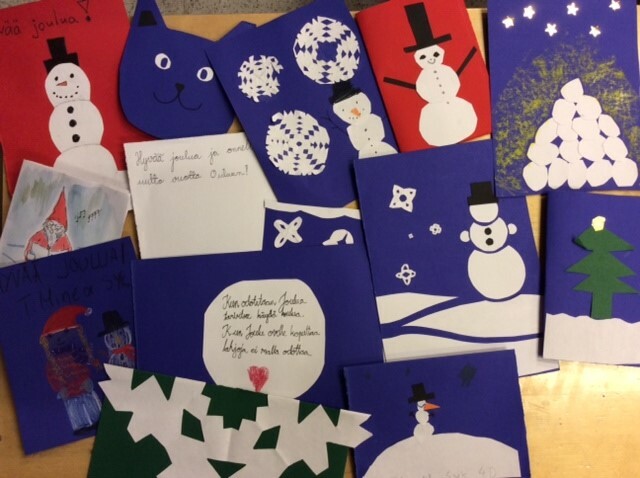 As the Christmas comes nearer the more my students work with Christmas decorations: they have cut snowflakes, panted our windows full of snowmen and they have made beautiful Christmas cards. 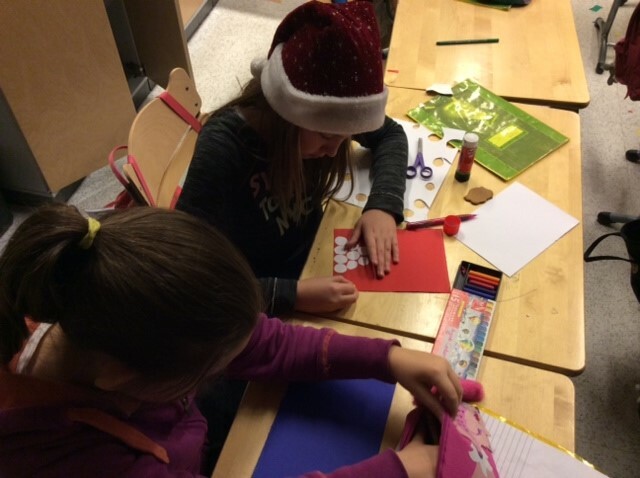 We decided to send our Christmas cards to both Oulu, Metsokangas school and to Hankasalmi, Asema school. We hope our Finnish friends to have a Joyful and Merry Christmas! This entry was posted in Uncategorized on December 18, 2016 by tiinakorhonen.